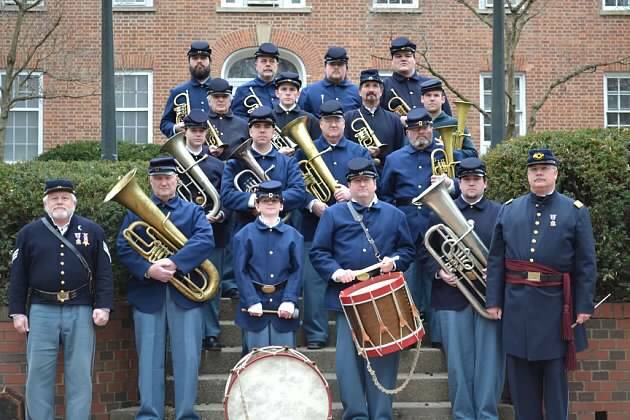 Civil War Living History Day, Saturday, May 10 from 10:00 a.m. to 3:00 p.m., in the Wooster Library front yard & the area inside the library front door (if inclement weather will be in the conference rooms). The Wayne County Civil War Roundtable, in collaboration with the Wayne Co. Libraries, is hosting the day. We are commemorating the 150th Anniversary of the Civil War. On this date in 1864 we are into the 4th year of that horrible war that most thought would be over quickly! There is no charge and the event is open to the public. A highlight of the day will be the 73rd OVI Regimental Band with their original CW instruments! During the day you will be able to visit with CW infantry soldiers (including a “lady” soldier) and their encampment; artillery experts with cannon & limber, etc; a CW cavalry soldier and his authentic “gear”, a CW Surgeon with his gruesome instruments plus nurse “Mother” Bickerdyke; a CW cook and her cooking utensils; a display of beautiful CW dresses; a CW news reporter; Gen. & Mrs Robert E. Lee and a civilian Confederate couple from Dover, Tennessee; a CW herb display, plus CW artifacts & literature; and more. Pres. & Mrs. Abraham Lincoln are also expected and even Mr Lincoln’s former “arch nemesis”, Stephen Douglas plans to come back from the grave!